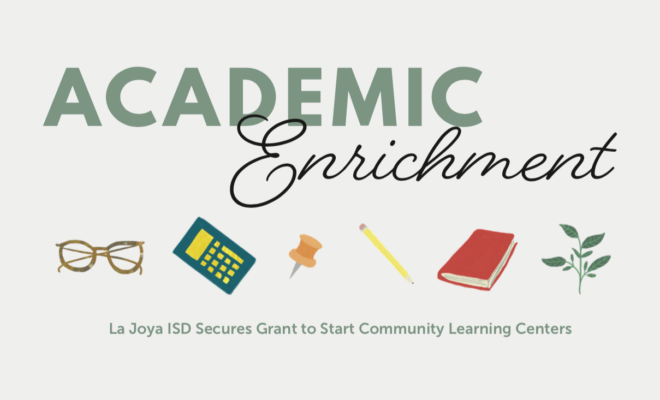 La Joya Independent School District recently secured a whopping $1,500,000 annual budget through the Texas 21st Century Community Learning Centers Cycle 10 grant. The purpose of the grant program is to support the creation of community learning centers that provide academic enrichment opportunities during non-school hours for children. The program helps students meet state and local student standards in core academic subjects, such as reading and math, offers students a broad array of enrichment activities that can complement their regular academic programs, and offers literacy and other educational services to the families of participating children. La Joya ISD is one of 13 awarded applicants eligible for up to four years of continued funding, contingent on availability of funds and meeting established performance requirements. Janeth Leal was recently approved by La Joya ISD Board of Trustees as the Afterschool Centers of Education (ACE) director for the project. 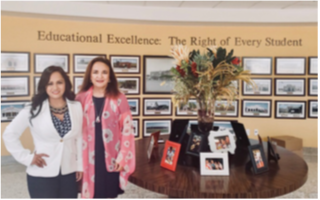 Leal and Dr. Alda T. Benavides, superintendent of schools, are enthusiastic about the project and look forward to the implementation of the ACE centers at designated schools as early as Aug. 27. Additionally, La Joya ISD also received recent success in the submission of the 2018–2020 School Transformation Fund – Implementation Grant for Juarez Lincoln High School with an award of $300,000. La Joya ISD – Juarez Lincoln High School will “transform classroom instruction through a rigorous and focused Transformation Model which will target teacher instruction, integrate technology in the classrooms, and transfer teachers’ 21st century skills to their students. This plan is based on research from Dr. Laura Goe’s (Teacher Quality and Student Achievement, March 2008) examination of teacher quality and will include providing Advanced Placement (AP) Certification for all core content subject teachers, regardless of their teaching assignment, in order to increase rigor in the classroom. Additional training, such as an IT3 (Intensive Teacher Technology Training) Academy and a School Transformation Leadership Retreat, will help the campus in completing its transformation. La Joya ISD is ecstatic about receiving both of these grant awards and is eagerly awaiting the implementation of the programs. Through the implementation of these programs, La Joya ISD will continue to make great strides towards reaching the district’s mission to provide “educational excellence through rigor, relevance, and relationships” and its commitment to its students, schools, and community.